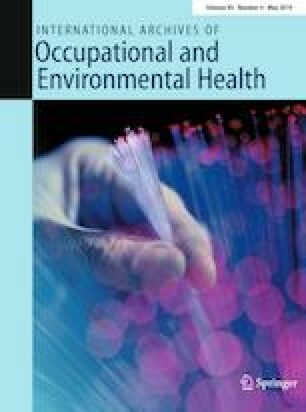 The aim of this study was to investigate the effects of long working hours (≥ 12 h shifts) on sick leave using objective records of shift work exposure and of sick leave. A total of 1538 nurses (mean age 42.5, SD 12.0; response rate 42%) participated. Payroll and archival sick leave data over a 4-year period were retrieved from employers’ records and aggregated over every third calendar month. A multilevel negative binomial model was used to investigate the effects of exposure to long working hours, on subsequent sick leave rates the following 3 months. Covariates included prior sick leave, number of shifts worked, night and evening shifts, personality, and demographic characteristics. Exposure to long working hours was associated with fewer sick leave days in the subsequent 3 months [adjusted model, incidence rate ratio (IRR) = 0.946, 95% CI 0.919–0.973, p < 0.001]. The interaction long working hours by a number of work days showed that sick leave days the subsequent 3 months was higher by long shifts when number of shifts was high compared to when number of shifts was low [adjusted model, IRR 1.002, 95% CI 1.000–1.004, p < 0.05]. Long working hours was associated with fewer sick leave days. The restorative effects of extra days off with long working hours are discussed as possible explanations to this relationship. We thank employees at the personnel department at Haukeland University Hospital for their assistance with retrieving the payroll and sick leave data. ØV, AH, SP, BB, SW, ES and BS took part in planning the study. ØV, AH, ES and SW took part in gathering the data. ØV, AH, SP, BB, SW, ES, BS and EE took part in writing up the manuscript and reporting the work. The study was approved by the Regional Committee for Medical and Health Research Ethics, Northern Norway (number 2013/526/REK nor) and by the Norwegian Data Inspectorate (13/00569-2/CGN).